With at least 20,000 laws to be changed in Britain, says European Commission President Jean-Claude Juncker, he believes it will take longer than two years to agree on all the arrangements for Britain to leave the European Union. That is roughly the number of legal instruments in the acquis communautaire but I'm sure that the official response would be (if there was one), that the Great Repeal Bill would sort all this out. With a single Act of Parliament, the intention is, to quote the White Paper, to convert the acquis into domestic law. We need constantly to remind ourselves of this, and the Government's belied that "wherever practical and appropriate", the same rules and laws will apply on the day after we leave the EU as they did before. What is very far from clear, though, is how this will work in detail, not only in respect of EU Regulations, which have direct effect, but also in terms of Directives. Although transposed into UK law, increasingly the resultant domestic law is interlinked with EU law, to which it refers directly, relying on the originating directives for their legal authority, plus multiple regulations which are quoted in the directives. This has been mentioned briefly in a recent briefing note from the Westminster Parliament, which underlines just how difficult it is going to be to cover all eventualities in a single legislative act. 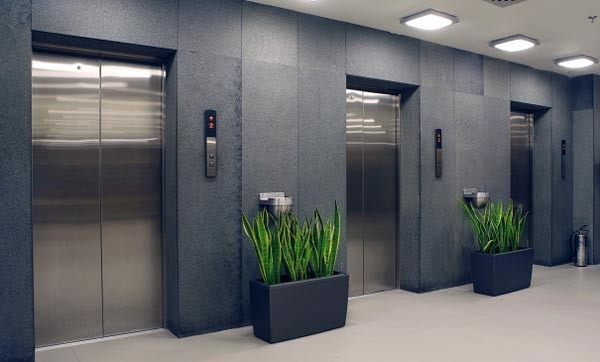 An extremely good example of the difficulties involved comes with Directive 2014/33/EU on the harmonisation of the laws of the Member States relating to lifts and safety components for lifts. This is an important directive as it regulates a major industry which, globally was estimated to be worth €48 billion in 2015, of which the UK accounted for at least £1 billion, making it yet another sector that is significantly bigger than the fishing industry. The big players in the UK market are Fujitec UK, Kone GB, Otis UK and Ireland, Schindler UK and ThyssenKrupp Elevator UK. For the steel giant ThyssenKrupp, its elevator business is currently one of its most profitable ventures, regarded as the gem of its operations, in which it is the world leader. This is a business that directly impacts on billions of people, with Otis alone estimating that the equivalent of the entire world's population travel on their lifts, escalators and moving walkways every nine days. The structure is interesting, as only 36 percent of its value comes from new installations and 16 percent from modernisation projects. The largest single contributor (48 percent) is routine maintenance. The value of the business can be seen from the European Commission intervention in 2007, when it fined the Otis, Kone, Schindler and ThyssenKrupp groups €992 million for operating cartels for the installation and maintenance of lifts and escalators in Belgium, Germany, Luxembourg and the Netherlands. These were the largest ever fines imposed by the Commission for cartel violations. Obviously, the product (both at the construction phase and during operations and maintenance) is safety critical, so one would expect it to be heavily regulated, which indeed it is. Rather than using a detailed, prescriptive regulation, though, the EU has chosen to adopt the mechanism of a directive, implementing the "goods package" adopted in 2008. This is part of a package of proposals aligning ten product directives to Decision No 768/2008/EC establishing a common framework for the marketing of products. The essence of this "New Legislative Framework" directive is that it relies on a matrix of standards produced by the European standardisation bodies, conformity with which is deemed to satisfy the legal requirements. Hence, we have a list comprising multiple standards, which effectively comprise part of the regulatory system. And also, as is typical of this type of legislation, we have extensive reliance on notified bodies, and cross-references to EU Regulations, which form part of what amounts to a legislative package. Now, these are the areas (or some of them) where we start to get into trouble as the directive is transposed into UK law by the 56-page The Lifts Regulations 2016 which then applies to relevant enterprises in the UK. In the normal course of things, that should be the end of the directive. It has become part of UK law, so we can file away the original and forget all about it. But, with this, and the rest of the "New Legislative Framework" package, this is no longer the case. Whole tranches of the Directive still apply, and must be read with the UK regulations. A key example here is in the conformity assessment of a lift, where reference is made to a "model lift" that has undergone an "EU-type examination", the details of which are set out in Part B of Annex IV to the Directive. Since the Annex is not reproduced in the Regulations, yet form part of them, for the UK law to be implemented post-Brexit, the Directive (or its relevant parts) must remain in force. These Regulations make provision for a purpose mentioned in section 2(2) of the European Communities Act 1972 and it appears to the Secretary of State that it is expedient for certain references to provisions of EU instruments to be construed as references to those provisions as amended from time to time. Since the ECA will be repealed, this text will no longer take effect. Instead, there might, for instance, be a phrase which says (to the effect of), "where in any UK Act or Regulations, reference is made to EU legislation, upon which the Act or Regulations rely for their effect, the relevant parts of that legislation shall apply as if it was part of the UK law which refers to them". Doubtless, the clever lawyers employed by the Government will come up with something neater than that, and also something which cross-references to the Great Repeal Bill. But at least my attempt illustrates that short-cuts might be available, saving the trouble of writing every single EU reference into UK law. Of course, this will only apply for as long as the EU legislation is in force. If it is modified or repealed, there could be some gaps opening up, which could only increase with time. Such a device might also cover the references to the "harmonised standards", on which the EU law applied. In the UK regulations, these are defined by reference to point 1(c) of Article 2 of Regulation (EU) 1025/2012 on European standardisation. Since the Great Repeal Bill is expected to re-enact precisely this sort of Regulation into UK law, there should not be any difficulty with this. However, where there will be difficulty is in the "safety components" for lifts, which are listed in Annex III of the Directive but also Schedule 3 of the Regulations. These are manufactured separately and have to be tested separately by notified bodies. Because of the wording of the Regulation, and its definition of a notified body, the regime applying to these components will suffice for lifts installed in the UK. But the UK notified bodies will not be recognised in the post-Brexit EU/EEA, so it will not be possible to export British-approved component to EEA members. Nor will it be possible to apply CE marking. A core part of the regulatory process, though, are the procedures for issuing "EU declarations of conformity", to which there are 36 references, and to which Schedule 5 is devoted. Self-evidently, UK notified bodies are no longer authorised to make such declarations, as they are not recognised by the EU. Therefore, all references to the EU in the context will have to be removed. Once you start looking in that direction, though, all sorts of anomalies creep in. For instance, we see the definition of an "importer" as a person who is "established in the EU" and "places a safety component for lifts from a third country on the EU market". By that definition, someone importing a safety component into the UK would not be an importer. Clearly, this definition will have to be re-written. Similarly, the term "make available on the market", currently defined as "the supply of a safety component for lifts for distribution, consumption or use on the EU market", will have to be changed. In other areas, it is not so simple. Regulation 66 refers to an "EU safeguard procedure", which is triggered by another Member State, initiating the procedure set out under Article 38 of the Directive. This, obviously, can no longer apply, once the UK has left the EU. Neither can the Regulation impose duties on the Secretary of State to inform the European Commission and other Member States of any measures taken. Nor will the Commission be particularly interested in any objections that the Secretary of State may have to the measure taken by a Member State initiating the procedure. There is no point, therefore, in leaving such a requirement standing. A far more major problem arises, however, with "RAMS", a reference to Regulation (EC) 765/2008 "setting out the requirements for accreditation and market surveillance relating to the marketing of products". The Directive, and thus the regulations require market surveillance to be carried out in accordance with this regulation, which in turn imposes multiple duties on Members States to cooperate with other Member States, and to provide assistance and information to the European Commission. This is part of the EEA-wide system of market surveillance, in which the UK can no longer partake (unless there is mutual agreement to that effect, negotiated in the Article 50/FTA talks). Unless there was such an agreement (and in any event), the references to RAMs would have to be removed. But with that, there would be no functional enforcement, so such provisions will have to be written into the Regulations, de novo. And all of this is an incomplete record of the changes that will need to be made – beyond, I rather feel, the scope of any Great Repeal Act. The odd thing about this is that, although there are presented some problems for the lift industry, the trade body, the Lift and Escalator Industry Association, has been silent on the issue of Brexit. I can find no statement from it, before or after the referendum. United Technologies, the owners of Otis Lifts, warned prior to the referendum that leaving the EU "would create years of uncertainty, jeopardising investment and jobs". But, since then, the company has stated that it does not believe that Brexit "will impact businesses in the near term". In the longer term, it will most certainly impact, but mostly those companies which manufacture components for export to the EU. The Government has a substantial problem in sorting out the regulatory code, and it may need to devote some time in the negotiations to mutual recognition of conformity assessment, and recognition of notified bodies, specifically with relation to applying CE marking. A potentially bigger problem presents in setting up a new market surveillance system, once we have drawn away from the EU system. But, since that problem spans multiple sectors, we'll leave that for another post.